Like I said on Friday, I can’t stand the bare walls after the Christmas decorations are put away. Thankfully, I’m a craft blogger and craft bloggers keep decorating! But I’m not quite ready to bust out the Valentine’s decorations. 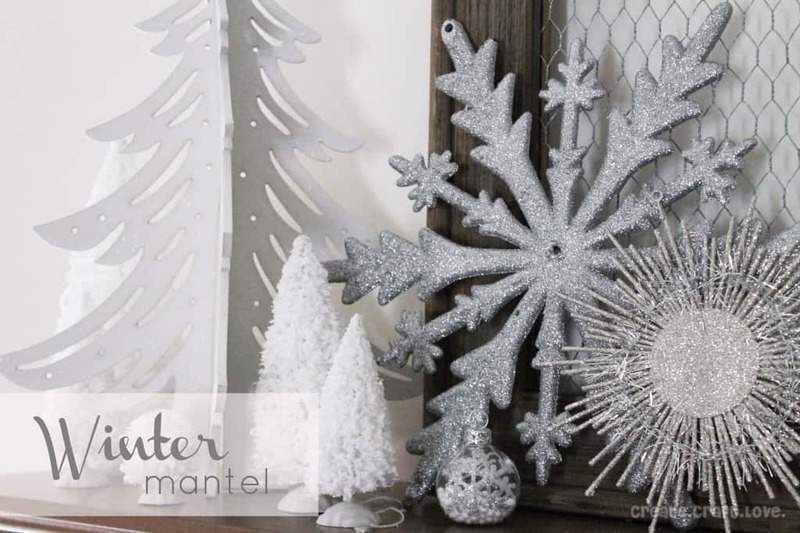 I can’t wait to show you my silver and white Winter Mantel! I live in St. Louis and we haven’t seen a lick of snow yet! This mantel is my own personal shrine to the white and fluffy stuff. I figured if I can’t walk in a winter wonderland, I could at least recreate it in my house! Everything on my mantel was purchased at the after Christmas sales for 66-80% off!! Total cost was under $35!! And I couldn’t be more in love with it! 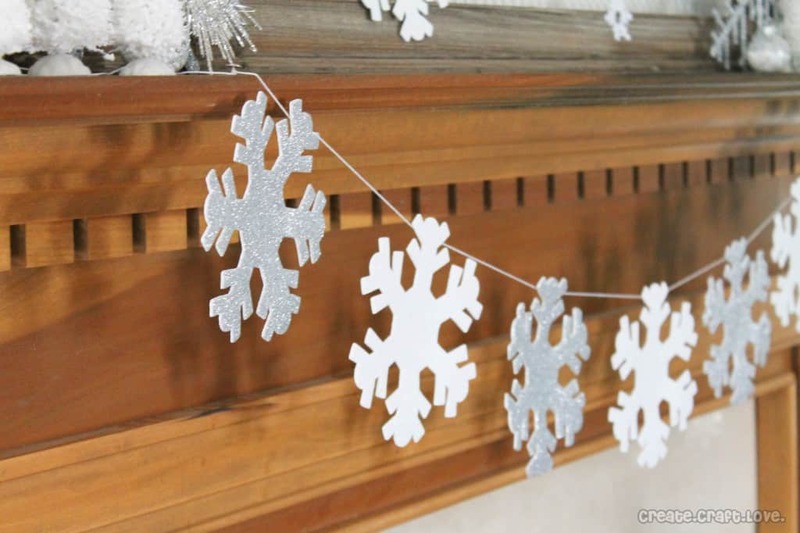 I made the garland from foam snowflakes I found in the clearance section at Michael’s. 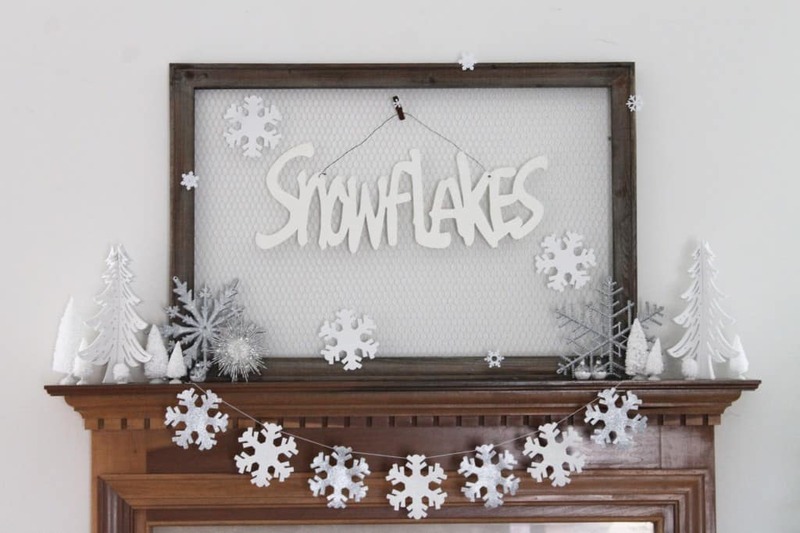 I simply hot glued the thread to the back of the snowflakes and hung across the mantel. 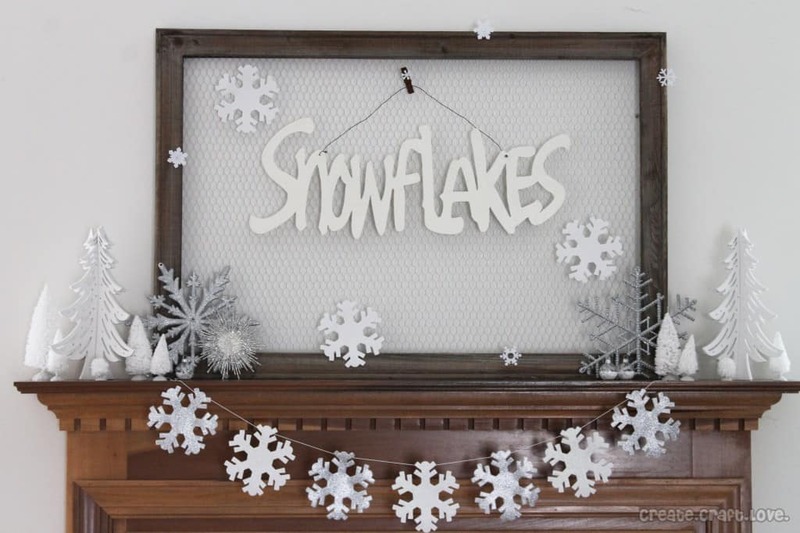 The chicken wire memo frame was a Christmas present and it is PERFECT for mantel decorating! I just adore its versatility. 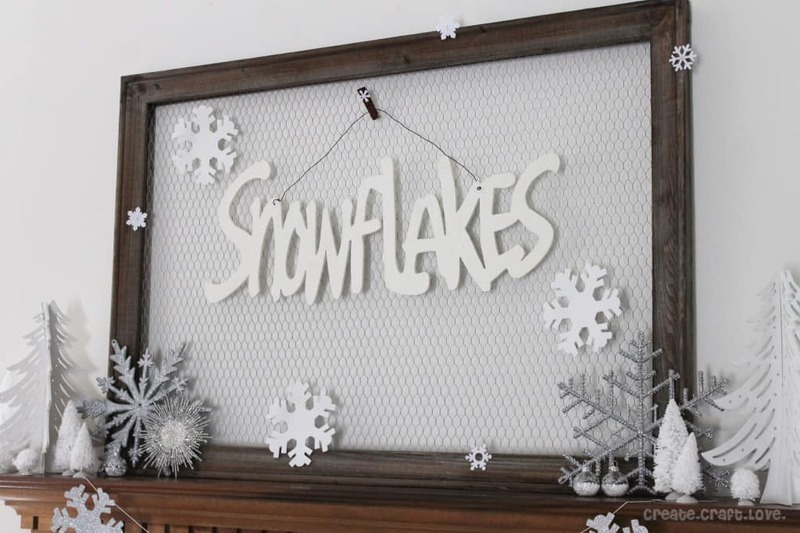 The wooden “Snowflakes” sign I purchased at Silver Dollar City for 50% off. It’s shimmery but you can’t really tell in these pictures. All of the silver snowflakes were ornaments on the 80% off shelf at Joann Fabric. I purchased the white flocked Christmas village trees and the white wooden trees there too! 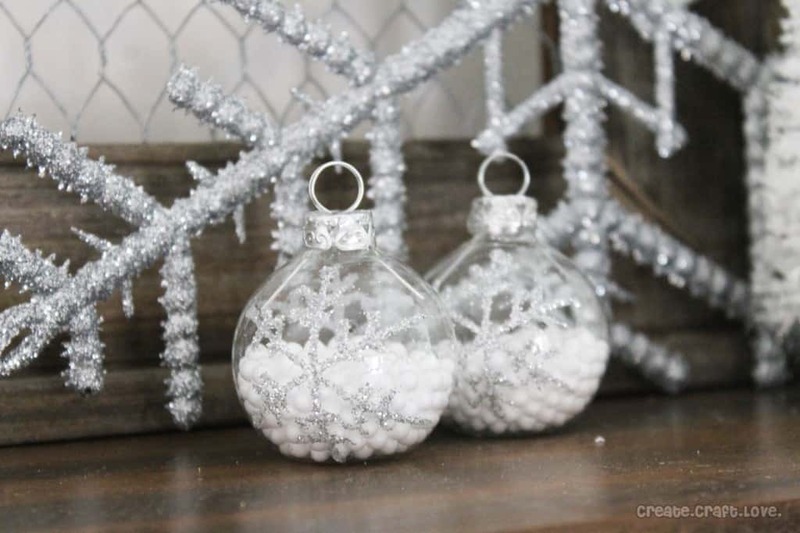 These adorable snowball filled glass ornaments were $2 for a set of four!! Unfortunately, I dropped one so there are only three left. Not too shabby for after Christmas sales! Are you decorating for Valentine’s Day or do you like to enjoy your winter decor first?